Although we clean our homes a few times a week, it’s rare that we really take it to the next level and spend hours or even days cleaning the place. A few minor parts of the home we skip over each week because they’re a little too hard to clean, or just don’t need to be done yet. 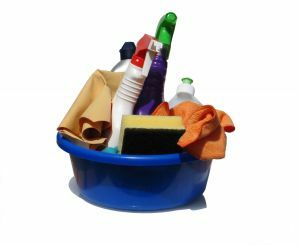 Well, now that winter’s over and we’re well on our way to summer, it’s time to break out the cleaning kit and really get stuck into deep cleaning our homes. If you’ve not done a deep clean before or would just like a little direction, then this article is certainly for you. Below we’ll go over room by room and take a look at what parts should be cleaned to give your home that real spick and span feel you’re looking for. One of the most important things to remember when cleaning your entire house is that you can’t really do it in one day. Take some time to sit down and write up a plan and figure out which rooms you want to do each day. The key is to give yourself about a week – or a whole bunch of weekends – to do the full clean. This way you won’t become unmotivated halfway through and you’ll be able to keep on going. Finally, always remember to have a helping hand on call. Whether it be a friend, family member or a rubbish collection service like 1300 Rubbish, a helping hand really is a must. Let’s take a look below at a few of the key areas in each room you should clean. Start with light fixtures by wiping the dust from them and removing any cobwebs you might find and then move on to lower surfaces. The next part of the room you should focus on is the bathtub, toilet and sink. Wipe these down with a cleaner like Ajax and leave them all sparkling white. Once these two areas are done, finish by washing every surface in the room including your doors, walls, windows, shower screens and more. The cabinets in the kitchen should be your first target. Wipe the walls of every cabinet after pulling out all of their contents and this way you’ll be able to reorganise all your foods and place them back into a spotless cupboard. Once your cupboards are clean move on to behind the fridge. Pull your refrigerator out from its place and vacuum all behind and underneath. Following on from this focus on cleaning the oven, stovetop, sinks and then your countertops. These are going to be the part of the kitchen that really makes the space visually feel a whole lot cleaner. As one of the more difficult rooms, you should leave plenty of time for the bedroom. Begin with throwing out rubbish, knickknacks that you no longer want and then hit every other ‘visible’ surface in the room. This includes wiping down the ceiling fans, skirting boards and anything else that needs a wipe down. Next up is the mattress. Strip it of its sheets and rotate it then make it with entirely new sheets, duvets and protectors. Lastly, organise your wardrobe! Throw away clothes you no longer want and keep everything as organised and minimal as possible. Once the main areas of the house are cleaned, jump on into the linen cupboard. You’ll likely find it isn’t the most orderly place in the home and there are things stuffed in there everywhere. If you’re lucky enough to have only sheets, towels, etc in the cupboard, just pull them all out down the floor. Once everything’s out, wipe down all of the shelving and vacuum the floor if you have a walk-in cupboard. When it’s spotless, place all of your neatly folded sheets, towels and more back into the cupboard. The last room on our list is the laundry. The main focus in this room is to make sure everything is in its place and wiped down correctly. Go over your washing machine and dryer with a washcloth and make sure there’s no detergent residue. Lastly, remember to be on the lookout for any random socks of pieces of clothing and get these back to where they belong.